Minnesota's northern forests are truly a place for curiosity, discovery and exploration. 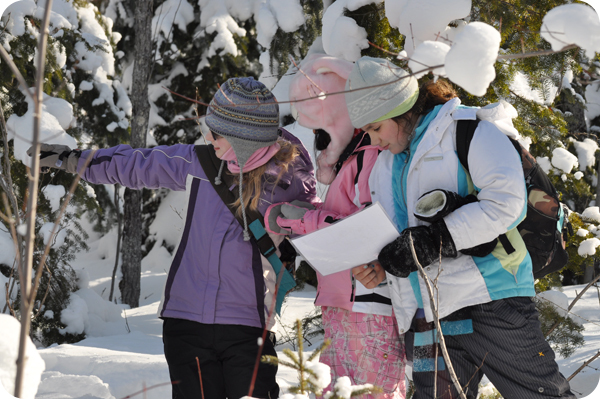 Since 1973, Widji has combined environmental education with experiential learning to introduce school groups from 10 to 90 students to the magic and wonder of the north. Each activity is an opportunity for discovery, and we keep the idea of "learning by doing" central to our philosophy. We believe strongly in individualized instruction. Many of our lessons take place in small "study groups," where student-to-staff ratios are usually 8 to 1 or lower. Most schools spend five days at Widjiwagan, arriving on Monday and departing on Friday, and we do offer shorter or longer stays. Our activities and presentations take advantage of Widji’s unique wilderness setting. Let us help you tailor an experience to fit your school's curriculum. We provide quality programming to all persons, regardless of ability. Please let us know of any disabilities or impairments that may have a bearing on your program involvement, and we will do our best to accommodate you. We seek out collaborations with schools that work with low-income and otherwise challenged youth, especially from St. Paul and northeastern Minnesota. To help, we make financial aid available for groups, depending on need.